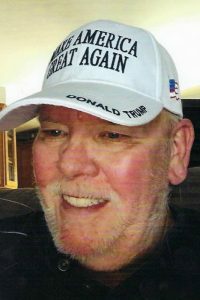 Charles “Russ” Dykes, 76, of Tilden, IL; born on November 17, 1942 in Caseyville, IL; passed away on Sunday, February 3, 2019 at his home. Mr. Dykes was a prison guard at Menard and Bowling Green Penetentaries. He was worked for Peabody Coal Company as a miner for 20 years. 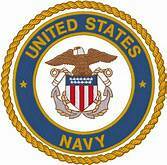 Mr. Dykes was a United States Navy Veteran serving on the USS Severn. He was a member of the UMWA. Russ enjoyed collecting guns and target practice. He was preceded in death by his parents – James and Dorothy, nee Lindecki, Dykes. Two sons – Tracy Scott Dykes and Robert Russell Dykes. One sister – Dorothy Cohagen. He is survived by his wife – Sandy, nee Atwood, Dykes whom he married on June 13, 1964 in Troy, IL. One son – Glenn (Lisa) Dykes of Tilden, IL. Five grandchildren and nine great-grandchildren. Visitation: Friends may call at Heil-Schuessler & Sinn Funeral Home in Tilden, IL on Wednesday, February 6, 2019 from 6:00pm to 8:00pm and on Thursday, February 7, 2019 from 9:00am to 11:00am. Funeral: Services will be held at Heil-Schuessler & Sinn Funeral Home in Tilden, IL on Thursday, February 7, 2019 at 11:00am with Rev. Dennis Hamilton officiating.